Last year when I was preparing Interpreting African American History and Culture at Museums and Historic Sites, it seemed that the obvious had been overlooked: race. Although we all advocated for the integration of African American history in interpretation in part to overcome racism, I wondered if instead we are inadvertently promoting the idea that races exist and we simply need to find ways to get along, just like dogs and cats in our homes. We never questioned or uncovered the assumptions about race that visitors may carry with them into museums and historic sites. Our bigger concern was that African American history was sufficiently significant to merit preservation and integration into the interpretation. We know that races do not exist and it was a theory developed by scientists in the 18th and 19th century as a way to explain human differences. Race has long been disproven, but certainly race and racism continues, probably in the minds of many of our visitors. So if more of our visitors could understand that race is socially constructed and artificial, it may go a long way towards deconstructing those differences and recognizing commonalities. While historians such as Louis Menand and Matthew Frye Jacobson explored this twenty years ago and the American Anthropological Association has toured an exhibit on race since 2007, very few history museums and historic sites have interpreted race or explained the social construction of race. Sure, there are many places that interpret African Americans, Hispanics, Asians, Jews, the Irish, and other “races” but these don’t question the assumption that they are actually ethnic or social groups, not races. At the annual meeting of the National Council on Public History, I asked Kristin Gallas, Andrea Jones, and David Young (three contributors to the Interpreting book) along with sixty people in the audience to explore this topic with me. We all agreed that race is socially constructed but we face several challenges to help visitors think about this idea. And while our time together was short, we also assembled a starting list of solutions and approaches for interpreting race. My big thanks to everyone who participated! What are the common challenges, barriers, troubles, suspicions, uncertainties, or limits in interpreting race? 1. Origin stories (where people come from) are part of personal identity and forms who they are. 2. Very difficult topic, requires preparation to get audiences ready. Can’t make assumptions about audiences. 3. Reliance on volunteer staff who aren’t willing or comfortable to discuss this topic; want to entertain and make visitors feel comfortable. 4. Being open and honest without offending people. Use actual documents (e.g., runaway ad, arrest, manumission papers) so it is not the interpreter speaking, you didn’t make this up. Don’t be private and mysterious about information. Explain how our conclusions were reached and bring others into the process of research and discovery. There is a danger of having evidence (“I’ve proven it, you’re wrong”) so we need to listen to audiences to assess reactions. 5. Difficult to discuss “social construction”; “race” is real and physical. Race isn’t real yet effects are real. 6. Power of our institutions within our communities (e.g, inclusion in decision making, labor). What are proven or successful solutions for interpreting race? Who or what is making an impact? Examples of best or future practices? 2. Setting expectations about jobs. 3. Avoid presumptions about perspectives and attitudes about others (e.g., Black busboy during segregation opposed sit-ins because they affected his income). 4. Organizational readiness (all change involves conflict). Transformation requires making difficult decisions, need to involve key people in decision-making process. 5. Race is a topic of “a” struggle, not “the” struggle. Can’t adequately discuss when focused on just a couple events in teaching (Civil War, Civil Rights). 6. Tendency of visitors to seek out experiences and places that confirm their existing narratives (what happens at an historic sites/museums vs what happens in visitors’ homes). 7. How do we evaluate impact? transformation? (tears, anger, we haven’t thought about it like that?) What is a successful interpretive experience? Reflect on what transformed your thinking (movie, person, event, book?). Include classic measures of success (e.g., attendance) and also other metrics of success, not just one. 8. Provoke people to think (which may not happen at your museum or site). See Freeman Tilden’s idea of provocation. Remain hopeful. 9. Race is not an isolated topic and needs to be combined with class and gender. 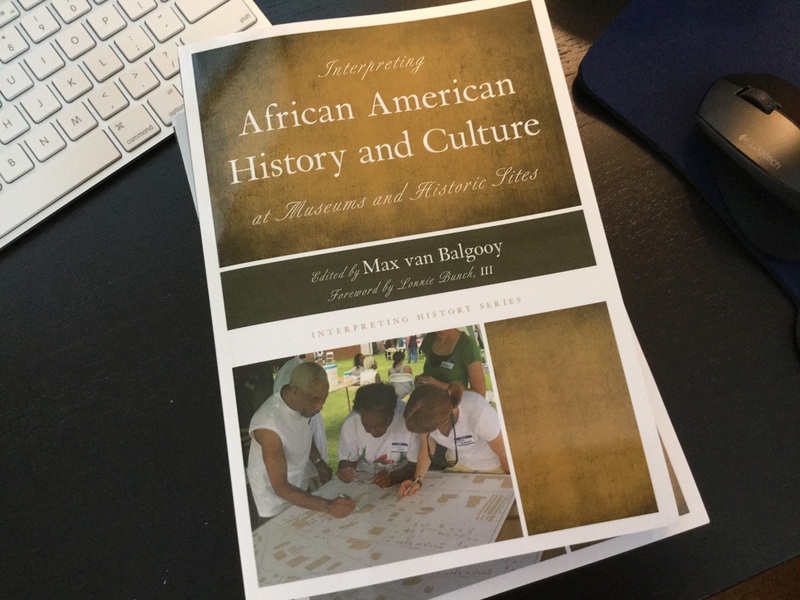 This entry was posted in Community engagement, Cultural diversity, Historical interpretation and tagged National Council on Public History, Race on March 23, 2016 by Max van Balgooy.